Adventures in the Endless Pursuit of Entertainment: And it is beautiful! 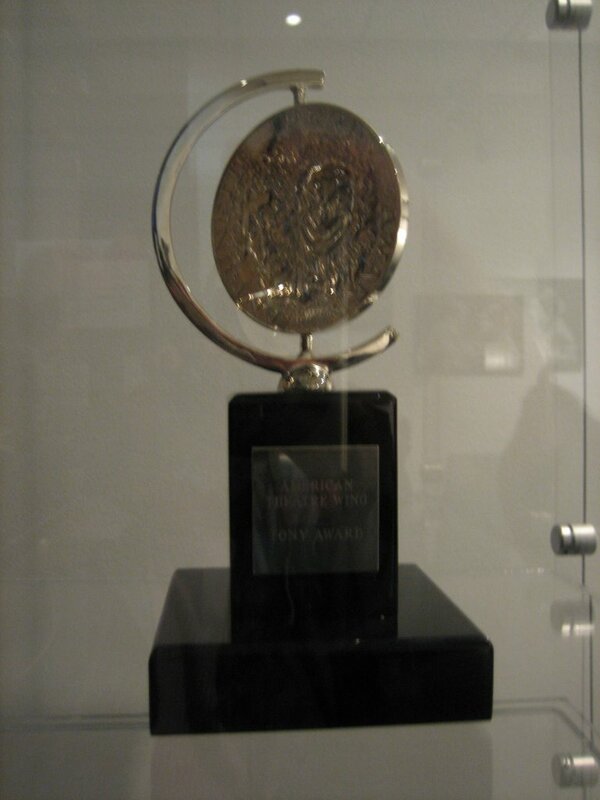 There is an actual Tony Award on display at The Vineyard Theatre and oh it is beautiful! They won it for Avenue Q.
I've never been so close to such a treasure....not even seeing the Crown Jewels of the Queen of England was this exciting.